All Geeks Rejoice: Kylak's Blog Just Leveled Up! 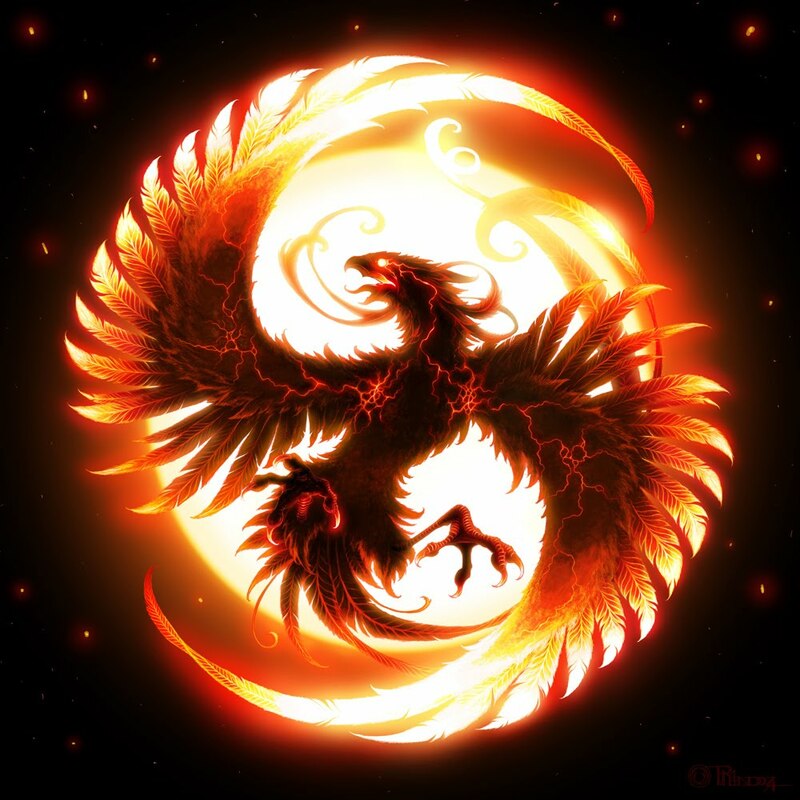 Check out that random picture of a Phoenix! Isn't that exciting? This blog just leveled up for the first time and got some major upgrades. The first major upgrade is the delicious banner at the top of the page. Isn't it amazing? A million thanks go out to my Waffle who kindly offered to make the spiffy banner for the site. It was so cold and naked without it. That's a +100 to style right there. The second major upgrade is to your right. I finally created a navigation bar. There is finally a section "About the Site" so people are no longer lost and starving to know. The other links all jump you over to a page that gives you yet another link to find ALL of the articles that fit under that topic. That's right, just two clicks away from getting a giant pile of gold decorated in your own personal flavor of Anime, Video Games, Dungeons and Dragons, or Magic the Gathering. There will be more later once the site expands a bit more. I want to give special thanks again to Waffle for all of her support of the site, her banner, and her awesomeness. I also want to thank Davey and Joe repeatedly for their continued support, opinions, and their future help for the upcoming Podcast! That's right. That's called a transition folks. Kylak's Edge of the Universe will soon have its very own Podcast. Everything is set in place and all that is needed is some decent recording time. You'd be surprised how difficult that is to accomplish over the Summer. Davey and Joe won't be the only ones joining me in the Podcast. There are others but you'll just have to wait and find out. The Podcast itself could literally be here in a few days to a couple months. That's how wide the window is open. 1) Follow and subscribe. Surprisingly, those are two different things. 2) If you look over to the right you'll see a Sociable widget. That is the key right there. You just click on the links and you will automatically Digg, Stumble, Tweet, or whatever the site. If you don't have an account at any of those places, it will automatically redirect you to make one. Making an account is easy and it's always a good idea to give a thumbs up or a tweet about sites you enjoy, not just mine. 3) Tell a friend or even better, tell plural. 4) Comment. If I know your thoughts, the site can evolve in a better direction or we can just have a fun discussion. Easy enough right? I hope you enjoy the ride.